Magdalena Whoolery lives in Botswana where she founded the Botho Compassion Movement in 2013, mobilizing the community to cultivate and nurture compassion. The movement has developed a network of organisations through the Charter for Compassion and conducted capacity building and compassion events. Magdalena is a nurse with a PhD in Health Studies from Brunel University, specialized in the care of homeless people with Tuberculosis (TB), developing the theory of Survivalising. For her thesis, she conducted cohort analysis of social, environmental and clinical factors likely to impact treatment outcomes for tuberculosis patients in London and contributed to the publication of its findings in THORAX Journal. Magdalena worked in the National Health Service (UK) and with various NGO’s following the 2004 tsunami in Indonesia, including UNICEF as the Expanded Program Immunisation Officer to prevent measles outbreaks. 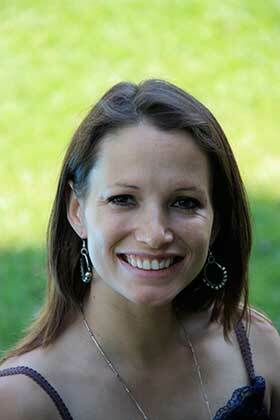 Magdalena comes from an international back-ground, and has a passion for the implementation of compassionate care. She has three children and a fourth on the way, and enjoys teaching and taking them on adventures, especially in finding opportunities for them to learn about the people and culture around them.